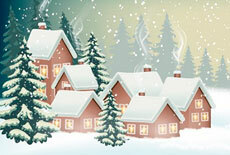 Home › News › Merry Christmas and Happy New Year! We sincerely congratulate you on New Year and Merry Christmas! Let your hearts be warmed up with love and warmth; homes are filled with good, joy and well-being, and eyes glow happiness. Let the last moments of the Old Year leave you worries and troubles, and new – 2019 will be generous with interesting plans, new achievements and professional victories. We want the Christmas Starlight to burn in your hearts the fire of faith and love, hope and optimism, inspiration and inexhaustible energy! We wish you good health, success, family happiness, prosperity and well-being! We wish you good mood and love, let your harmony and good luck prevail!